Born on April 22, 1812, James Ramsay was the 3rd son of George Ramsay, Earl of Dalhousie, in Scotland. Although the family lacked great wealth, they earned great honor as great soldiers and administrators. 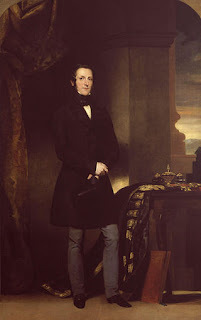 His father Lord George Ramsay served as one of Wellington’s commanders then as a high official in Canada before becoming the Commander-in-Chief in India. James Ramsay was physically weak but it did not stop him from following his ancestry’s tradition of public service. He also became the heir of their family's earldom as his 2 elder brothers passed away early. He also learned to be religious much to his mother’s guidance. For his education, he went to Harrow before going to Christ Church in Oxford and graduating 4th in his class in 1833. He tried his luck in politics running for the seat of Edinburgh in Parliament but ended in vain. He then married in 1836 before in 1837 he finally took a seat as a Member of Parliament representing Haddington and siding with the Tories. In 1838, his father passed away and he assumed the role of 10th Earl of Dalhousie taking as well his father’s seat in the House of Lords. 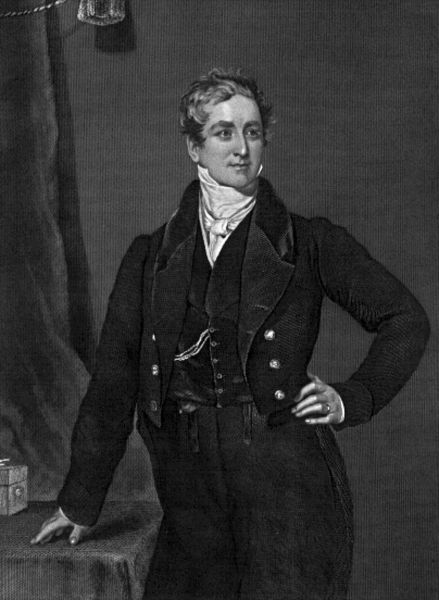 In 1843 he took a huge step in his careers by becoming the vice president of the Board of Trade of Tory Prime Minister Sir Robert Peel. Within 2 years, he rose up to become the Board’s president. He earned a reputation as an efficient administrator supervising industrialization of the British economy. He oversaw the regulation of the railroad industry to prevent another railway mania that by then just ended. He also supported the controversial Corn Law that Prime Minister Robert Peel supported. He was a workaholic leading to a partial decline of his health. His experience on trade and infrastructure served him well in his later career. His skills as a great administrator survived beyond the Prime Ministership of Sir Robert Peel after the Whigs (the opposite of the Tories) took power. In 1847 the Whig Prime Minister John Russell offered him the position of Governor-General of India. He accepted the position becoming the youngest to hold the position and immediately sailed to the jewel of the crown of Great Britain in Asia. Lord Dalhousie arrived in India on January 2, 1848. As Governor-General of India, he supervised the whole administrative apparatus of the British East India Company. The Company held territories and maintained alliances and spheres of influence with Indian princes. Some princes welcomed the Company allowing them to keep their titles along with a healthy pension, but some resisted just like what the Punjabi Sikhs did. By the time Dalhousie arrived, a brutal and difficult Sikh War just ended and he had to oversee the pacification of remaining resistance to the advance of British control. In April 1848, a local rebellion erupted in Multan. The rebellion grew quickly around the surrounding towns and villages dragging entire Punjab into conflict. In November, Dalhousie sent in the army to quell the rebellion only to face tough resistance. The British army found it difficult to mobilize in full force due to lack of adequate supplies and transport. On November, the British launched counter attacks against the rebels. By February, the British retook Multan, the center of the rebellion, and by March the 2 sides signed the Treaty of Lahore where Britain annexed Punjab. He then assigned Sir John Lawrence to administer Punjab. Sir Lawrence helped to pacify the Sikh which secured British control over the state. Although some criticized him for his delay actions, he nevertheless received honor from London with his elevation as a Marquess. Plus, the lessons of the war made him realize the need of improving the country’s transportation and logistics network for the government to effectively respond to crises. Following the Sikh Wars, another crisis flared up in the other side of India – in Burma. The Kings of Burma continued to resist British commercial expansion. Hostilities broke out that resulted to the 2nd Anglo-Burmese War. With better weapons, the British crushed the Burmese army that led to Britain’s annexation of Pegu on December 1853. Moreover, he also installed a new Burmese government that sympathized with the British, thus placing the country as part of its Empire. In military affairs, he initiated reforms to the irritant of others. He changed the selection criteria for officers from being based on seniority to merit. He also created a department responsible for uniforms and the horses of the army. Medic also underwent reorganization and training to provide substantial improvement to the conditions of wounded troops. He also made sure for military officers to submit to civil authority. When Sir Charles Napier gave allowances to his Sepoys without his authority, Dalhousie reprimanded him that so offended that the soldier left his post. He dealt with penal reforms. He made sure that inspections were made regularly to maintain orderly conditions of prisons. He also abolished the branding of prisoners. Other reforms included the systematic filing of administrative reports by local officials as well as expanding the number of members of the Legislative Council of India. He also improved the conditions of civil servants by giving them better pay and rights for leave alongside pensions. He also strove to modernize India’s communication and transportation network. To begin, he established a public works departments in each of the Company’s presidency and established engineering colleges. Much of his work relied from his previous experience as President of Board of Trade. Among examples of his infrastructure projects included the Grand Trunk Road between Calcutta and Delhi, and later towards Punjab. Network of telegraph lines also began to crisscross India along with the reorganization and centralization of the postal system making it more affordable and efficient. Following the development of infrastructure and communication in India, Dalhousie also dealt with developing various industries in India. He oversaw the improvements of the cotton, tea, and flax industry. He promoted the development of agricultural implements as well as raising of sheep. Irrigation also built in Sidh, Madras, and Bombay. He planned to developed India’s iron and coal industry. 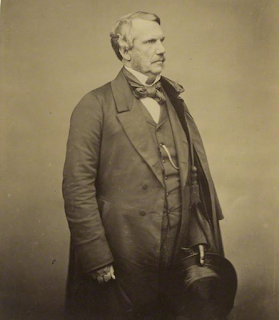 In finances, he proved himself efficient turning the revenue of the government from deficits to surplus in 1854 and 1855. Much to the increase in revenue came as a result of surged in tax collection from the newly annexed territories. Annexation of Satara, Jhansi, Nagpur, and Oudh brought in £ 10 million. One reason for the increase of tax revenue came a result of the annexation of Indian states through the so-called Doctrine of Lapse. One of the most notorious cause of the Indian Mutiny of 1857, the Doctrine of Lapse brought about the expansion of direct British ruler over numerous princely states of India. Traditionally, Princes who maintained close relations with the British received permission to have an adopted heir succeed upon their demise. All changed, however, with Dalhousie. Under his new doctrine, the British prohibited the adopted heirs to succeed their fathers and proceeded to annex the whole state. In this manner, British controlled territory expanded drastically. Many states fell to British annexations such as: Satara, Jaitapur, and Sambalpur in 1849, Jhansi and Nagpur in 1853. The Lapse also applied to titular princes with no kingdoms to rule like the case of Nana Sahib, the adopted heir to the completely disintegrated Maratha Empire. Besides the Doctrine of Lapse, he also attacked the pensions of Indian princes. He refused to honor their titles and so he took out the pensions of the Nawabs of Carnatic, Surat, and the Raja of Tanjore. He also attempted to stop pension payments to the elderly Mughal Emperor Bahadur Shah II but both side reached an agreement that it would end with the death of the aging Mughal. Most importantly, he also ceased the payment of pension to the Raja of Bithur and his son Nana Sahib who took part in the leadership of the Indian Mutiny of 1857. One of Dalhousie’s well-known attack on the privilege and autonomy of Indian Princes unfolded during his annexation of the coveted Oudh state. In 1854, Dalhousie sent a resident to the capital of the state Lucknow to report on the state of affairs. The report revealed in March 1855 reported “disorder and misrule” prevailed in the state. This situation prompted Dalhousie to plan for the annexation of the state. He offered the ruler of Oudh the retention of his title along with a handsome allowance in exchange for the complete transfer of the government to the Company’s hands. The ruler refused and Dalhousie, even in his worst state of health, instructed the mobilization of troops to the border and provided careful instructions to avoid local resistance once the annexation commence. The Indian prince continued to resist even under threat of a military conflict and so the Company unilaterally announced the annexation Oudh on February 13, 1856. Fortunately for the British no fighting erupted from the annexation. On the other hand, Dalhousie proved himself as a westernizer of India opposing Indian traditions he saw in contrast with western culture. These measures included the intervention in what he perceived as barbaric practice such as killing of babies in Punjab as well as human sacrifices in some parts of India. Moreover, he promoted the education of women which went against the patriarchal society of India. He thought he did India a favor by attacking it uncivilized practices and introducing western and modern reforms. His idea came that England’s progress made its culture and ways far superior from the Indians. Thus, he started to implement a westernization program in India that the Indians saw as an attack on their identity. In 1856, his tour of India as the Governor-General ended leaving the country on March 6. As he returned, he received a pension of £5,000. He left India a tinderbox waiting to explode due to opposition aroused by his westernization efforts. The tinderbox of dissatisfaction to the cultural intervention of the British exploded in a large scale rebellion with the Indian Mutiny of 1857 that threatened to end foreign rule. Much of the blame for the mutiny went to Dalhousie and his Doctrine of Lapse. Nonetheless, many of his infrastructure projects helped to improve the colony’s administration especially as the Crown took over. 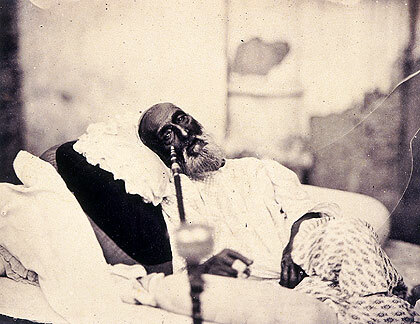 Dalhousie’s work as Governor-General deteriorated his health and in 1860 he passed away. Gupta, R.C. Central India States & East India Company (1818-1858). Jaipur: Panchsheel Prakashan, 1988. Roberts, P.E. History of British India: Under the Company and the Crown. London: Oxford University Press, 1938. Wilbur, Marguerite. The East India Company: And the British Empire in the Far East. Stanford, California: Stanford University Press, 1945. Wynbrandt, James. A Brief History of Pakistan. New York, New York: Facts On File, inc., 2009.